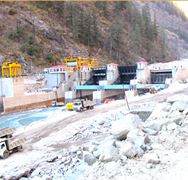 Tehri Hydroelectric Project - Rite Geosystems is a global instrumentation and monitoring solution provider, offering turnkey solutions in geotechnical, structural, environmental monitoring and geodetic surveying. A unit of the renowned Encardio-rite Group, Rite Geosystems leads the group’s operations across the world in USA, Europe, and Asia. 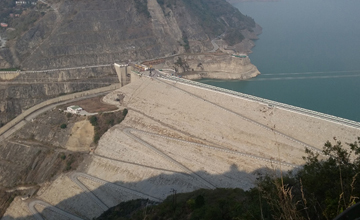 Tehri Dam, with a height of 260 m and width of 592 m, is the tallest dam in India. 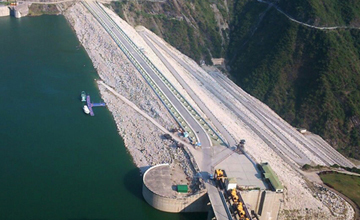 It is a multi-purpose earth and rock-fill dam on the Bhagirathi River near Tehri in Uttarakhand, India. 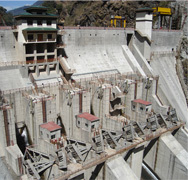 It is one of the world’s largest hydroelectric projects. 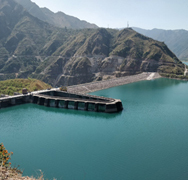 Encardio-rite has been associated with the monitoring work of Tehri Dam since early nineties till date (April 2018). 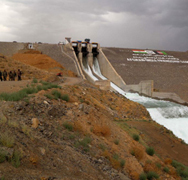 A large amount of instrumentation has been supplied, installed and monitored for the dam, underground power house, tunnels and spillway sections. Instrumentation plan included inclinometers, piezometers, joint meters, crack meters, strain gages, pressure cells, load cells, plumb lines, borehole extensometer, magnetic extensometers, seepage measurement, reservoir level meter, seismographs, portable readout units as well as an automatic data acquisition system.